Chiang Mai is rapidly becoming recognized as the best Thai travel destination and rightfully so. You will discover luxury resorts in Chiang Mai where you will experience the most amazing holiday accommodation and the city and its surrounding area has something to suite everyone’s unique taste. Whether you are an adventurous backpacker, thrill-seeker, culture buff, or someone looking for a quiet, romantic getaway, finding your own little corner in this wonderful part of Northern Thailand shouldn’t be difficult. Chiang Mai’s Old City quarter with its ancient temples, rustic boutiques, and bustling markets is the perfect stop for those who wish to get a taste of the ancient world and living traditions of the the past. There is a golden temple at every turn and a variety of street vendors and markets tempting you with a variety of tastes. What’s great about visiting this part of Chiang Mai is its accessibility to the rest of the city as well as the numerous museums, temples, and galleries that are within minutes of downtown. However, setting up camp in the old city quarter may not be the best choice if you want to get away from the hustle and bustle of the city and are looking for a unique experience in a luxury resort style of accommodation. For this you should cast your eyes a short distance to the North of the city to the Mae Rim area. Luxury resorts can be found here to vie with the best in the world and yet it is still within easy reach of the best that downtown Chiang Mai has to offer. 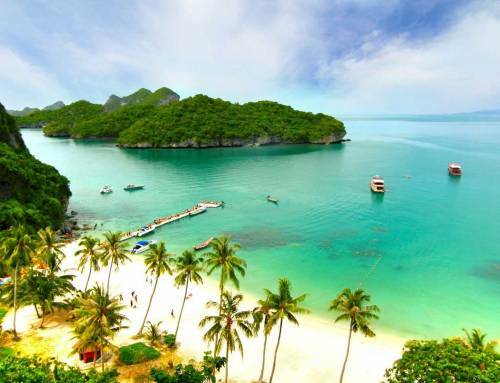 Here you are surrounded by the most exotic and varied flora and fauna in a tropical wonderland. 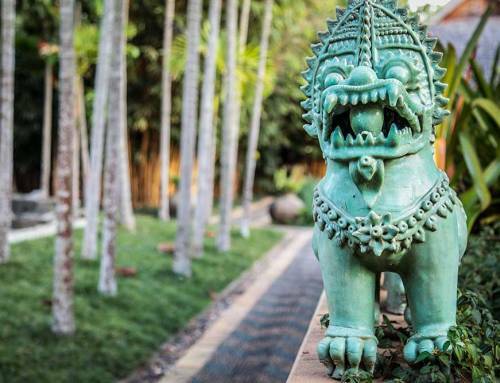 These luxury Chiang Mai resorts provide exclusivity and privacy without detracting from experiencing the wonders that most travelers to Chiang Mai look forward to. 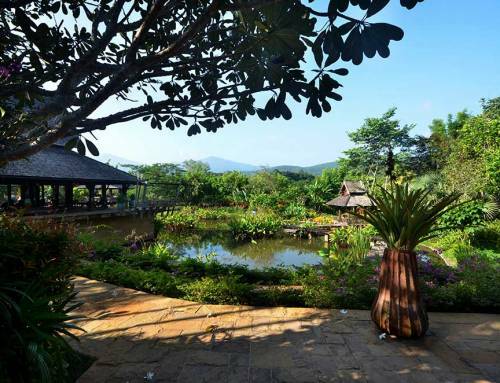 In fact you are nearer to some of the area’s biggest attractions such as the elephant parks, hill tribe experiences, trekking and sightseeing that are to be found in the Mae Sa valley, the playground of Chiang Mai. Howie’s HomeStay is one of the most renowned luxury resorts in Chiang Mai perched on the foothills of the Himalayan Range. 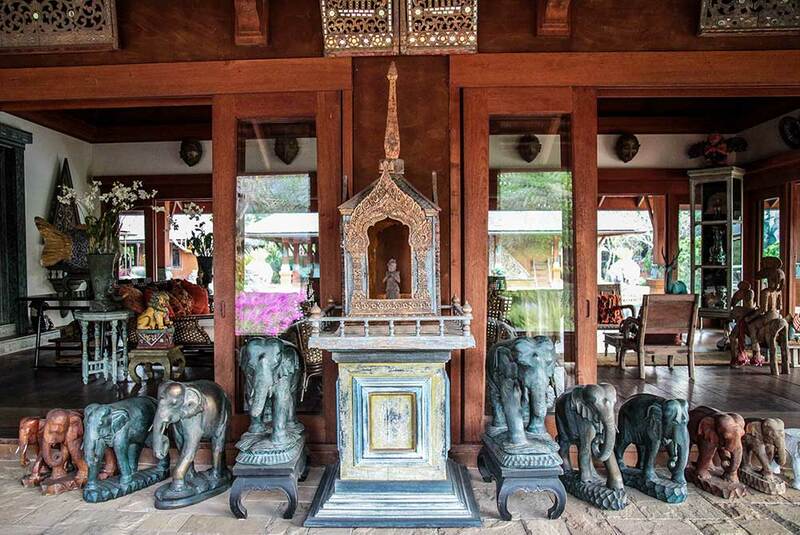 It is recognized as one of the most luxurious Chiang Mai hotels to be found. 7 years in the making, no detail has been overlooked in its creation. It is a masterpiece by one of Asia’s most renowned architects, Bill Bensley. 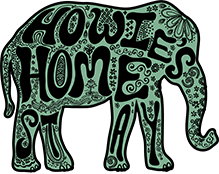 Howie’s HomeStay is a unique experience of Chiang Mai Lanna hospitality. 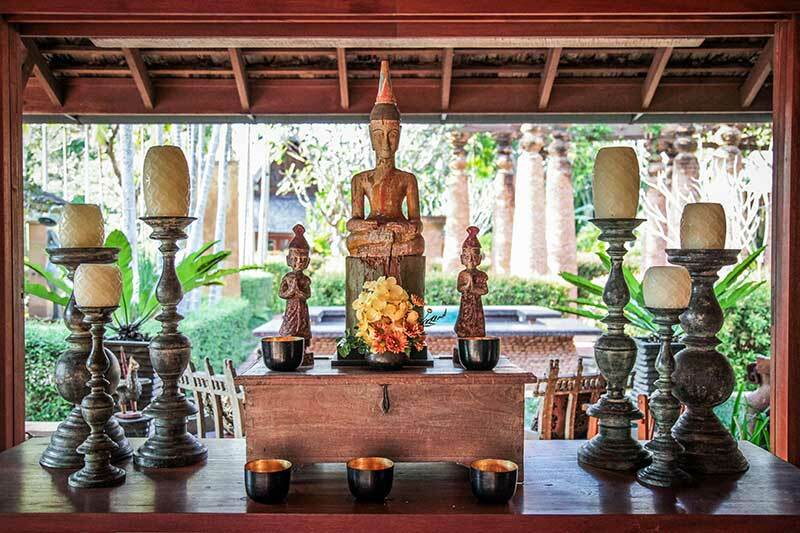 A luxury villa, a 5 star hotel, an eco resort and yet it is something else that is completely unique – a private, exclusive, incredible experience unlike any other Chiang Mai accommodation.